In an age of ubiquitous computing and ever-increasing connectivity, how can the profession of architecture evolve and adapt to a constantly shifting technological landscape? How can architecture schools take on a more proactive leadership role within the discipline and develop curricular initiatives that fully engage with the dramatic transformations occurring in practice? 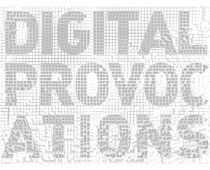 This symposium, organized by the School of Architecture at the University of Minnesota College of Design, seeks to explore innovative responses by both practice and academia to the question of how digital technology can be utilized in processes of design, collaboration, fabrication, and construction. A group of leading architects, consultants, thinkers, teachers, and makers will convene to discuss computation’s role in design and practice—and how architectural education can adapt to a world of increasing technological flux.